ISLAMABAD: Pemra Council of Complaints Sindh 27th meeting was held at Regional Office Karachi headed by the Chairperson Professor Inam Bari. 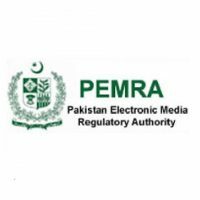 According to Pemra press release public complaints of serious nature received through automized Viewer Complaints and Feedback Management System and from other quarters were taken up on the agenda. Pemra on the recommendations of the Council imposed fine of Rs. 100,000 on ARY News for not using/installing time delay mechanism as a result derogatory remarks aired during the live program. The Pemra also issued Warning Letter to ARY News to restrain from airing scene of blood in any of its entertainment or re-enactment programs otherwise the Council will recommend strict legal action against the channel as per law. The Council also recommends that a suitable compensation may be paid by M/s Jaag Broadcasting Systems (Pvt.) Ltd. (Samaa TV) to the complainant Mr Shahnawaz Chachar against the use of his video documentary trailer/content in its programme Tafteesh. The Council recommends imposition of fine Rs. 1 million on SAMAA TV for airing an indecent reenactment based programme “Wardat”.